The Republican Party is the party of the people – the people on top. 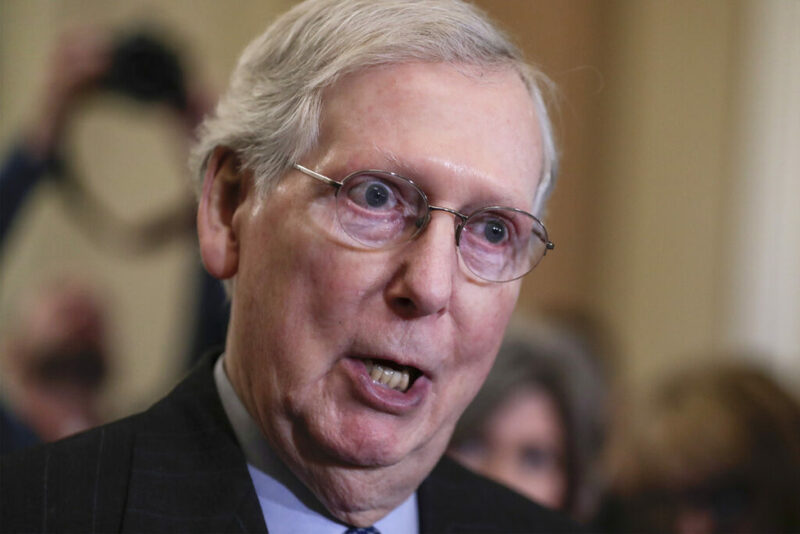 Senate Majority Leader Mitch McConnell thinks that making Election Day a federal holiday is a Democratic “power grab.” Since when does making it easier to legally vote take anyone’s power away? It does when the leaders know that giving a voice to the people will end their rule – when leaders think only a small political elite should run the country. I am appalled by his comment and characterization of the democratic process. Donald Trump ran against the political elites. Donald Trump won because he mirrored the anger of people who felt they weren’t listened to. Well, it seems to me that Mr. Trump’s supporters are angry at the wrong people. Mr. McConnell’s statement lays bare the lie the Republican Party has been telling for 40-plus years, that they are the party of the people. Well, maybe yes – if you happen to be one of the people on top.